1 2016-08-21T08:16:05+00:00 Keywords 24 image_header 2019-02-11T17:58:49+00:00 Digital Paxton features five keyword essays that provide conceptual and interdisciplinary approaches to the Paxton corpus. At present, we have two essays from literary scholars, two from historians, and one essay that explores visual culture (authored by an historian). 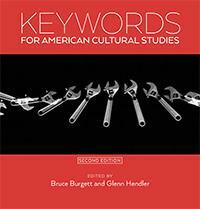 Our approach modeled upon the work of Bruce Burgett and Glenn Hendler’s Keywords for American Cultural Studies. 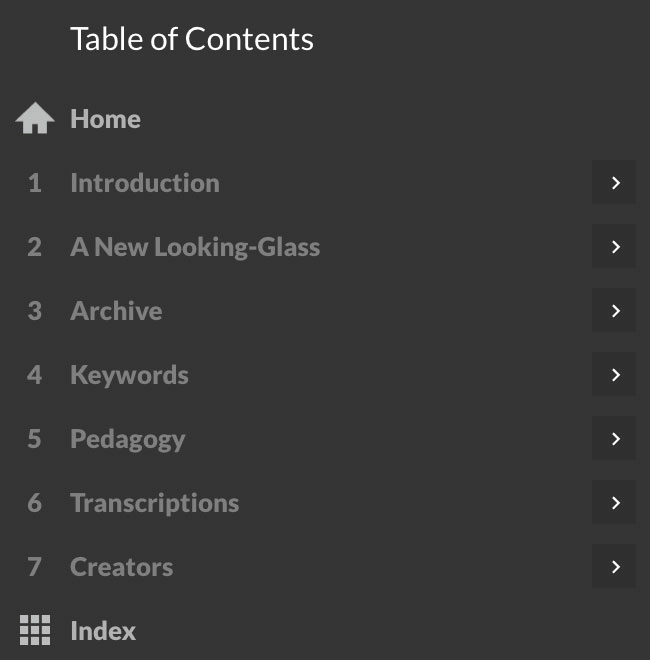 Similar to an historical overview essay, each keyword is edited to ensure that it’s accessible to students, yet retains the research of a traditional journal article. In fact, all five of the essays develop or extend arguments that authors originally pursued in books or journal articles. 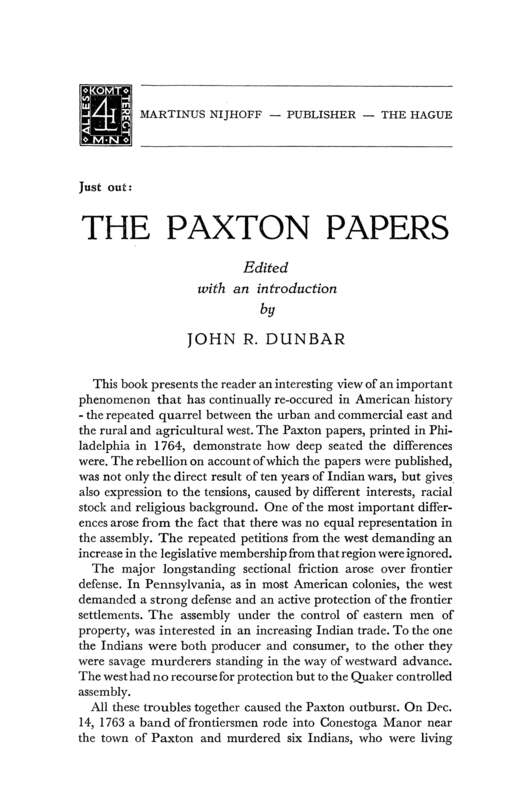 The key difference is that each essay historicizes or theorizes a concept central to the Paxton print debate. Judith Ridner (Associate Professor of History, Mississippi State University) examines how pamphleteers use the objects of eighteenth-century consumer culture to attack opponents in her keyword essay, “Material Culture.” Close reading both pamphlets and political cartoons, she finds Scots-Irish associated with tomahawks, Germans with blindfolds, and duplicitous Quakers subjected to the scrutiny of magnifying glasses. James P. Myers, Jr. (Emeritus Professor of English, Gettysburg College) takes close-reading a step further in his essay on “Anonymity.” Using the anonymously published Conduct of the Paxton Men as a case study, Myers finds evidence of Thomas Barton’s hand by evaluating its form, style, and rhetorical duplications. His attention to textual features—such as figures of speech and synecdoche—make his piece an excellent entry point for English students and teachers. 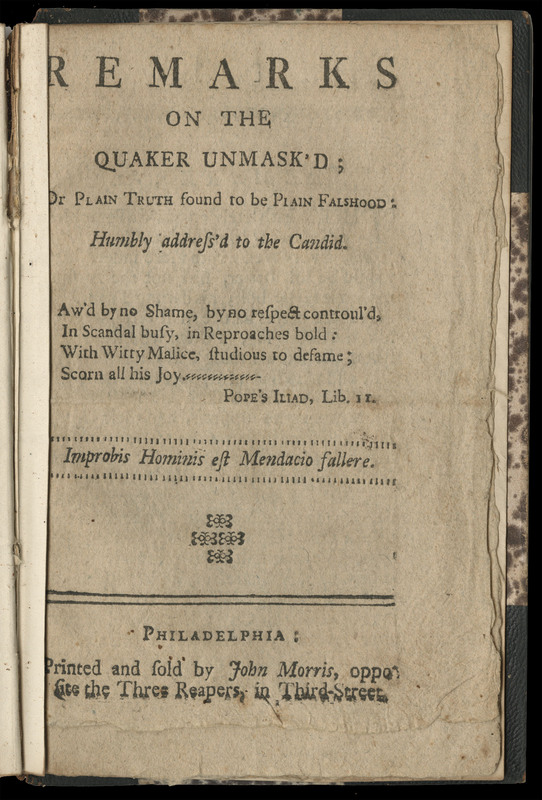 Myers’s essay raises an important fact about the Paxton archive: many of these pamphlets were published anonymously or under pseudonyms. Much like today’s Twitter trolls, pamphleteers wrote under handles, didn’t always know who assailed them, and commonly misattributed writings. In “Condolence,” Nicole Eustace (Professor of History, New York University) explores the role of condolence rituals in diplomacy. Eustace shows how Euro-Americans and Native Americans diverged in their conceptions of condolence ceremonies: Whereas Native Americans sought to use shared grief as a way to promote harmony prior to negotiations, Euro-Americans regarded these rituals as displays of dominance, as a performance rather than shared experience. Scott Paul Gordon (Professor of English, Lehigh University) has served as one of the project’s earliest and most generous contributors. His keyword historicizes the term “Elites.” While modern readers might assume the Paxtons railed against Philadelphia elites for greater political power, Gordon shows how the frontiersman used violence to compel local authorities to protect settlements. 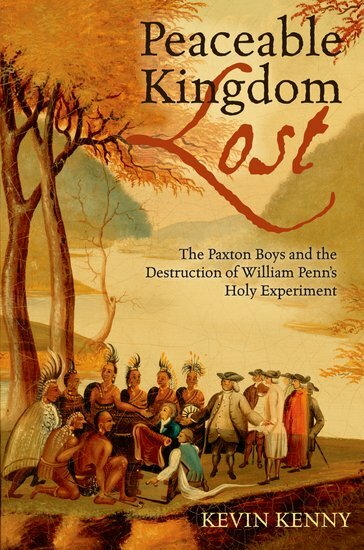 The Paxton Boys were willing to accept an unequal social order as long as that deference secured them protection, loans, and access to opportunities for work and social advancement. 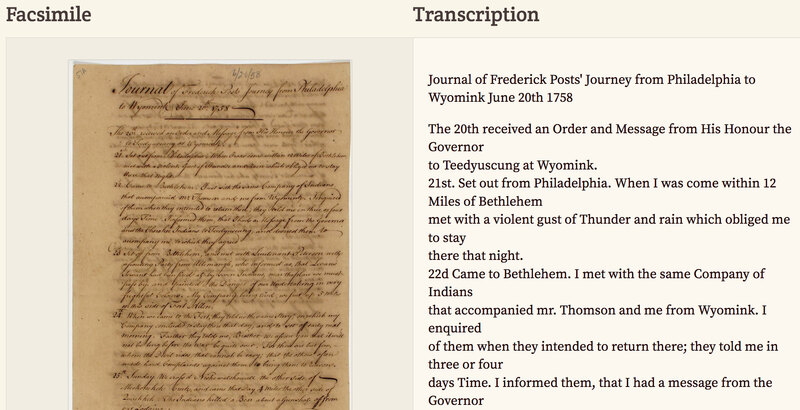 In addition to his keyword, Gordon has also provided several shorter, Wiki-style explanatory tags related to Christian Indians, Moravians, and Edward Shippen. 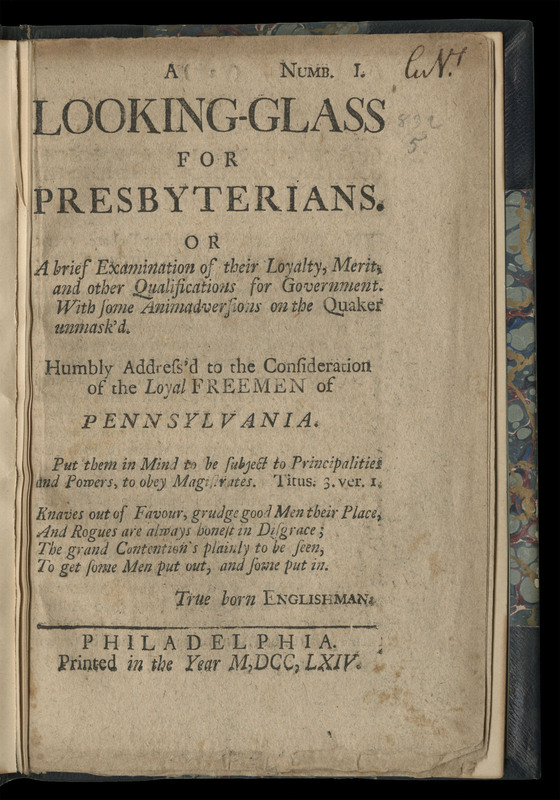 Next, Ben Bankhurst (Assistant Professor of History, Shepherd University) has contributed an ambitious essay on “Anti-Presbyterianism.” This piece ought to prove valuable for anyone who wants to understand the origins of anti-Presbyterian sentiment, which Bankhurst traces to post-Restoration Britain and Ireland. 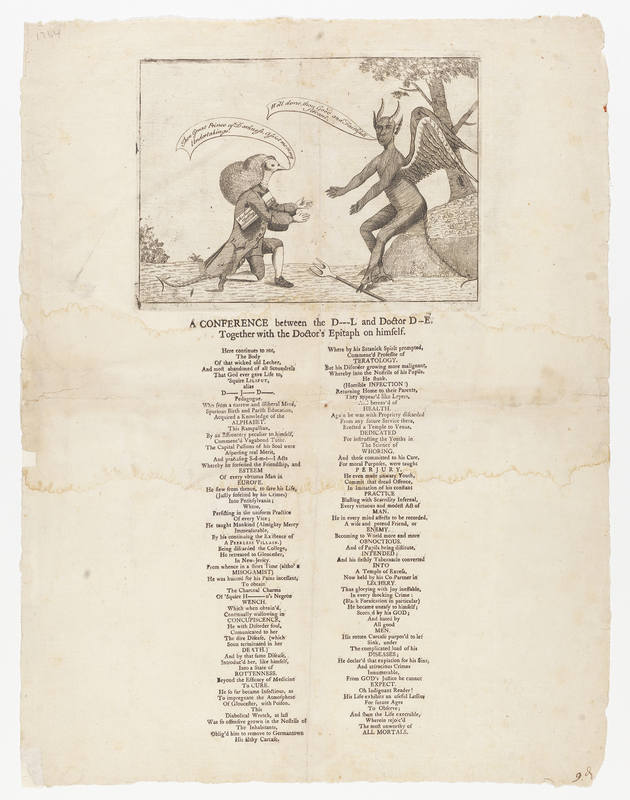 Finally, and most recently, Angel Luke-O'Donnell (Liberal Arts Early Career Fellow of History at King’s College London) supplies a special, multi-page keyword dedicated to the role of "Paratexts" in printed materials. 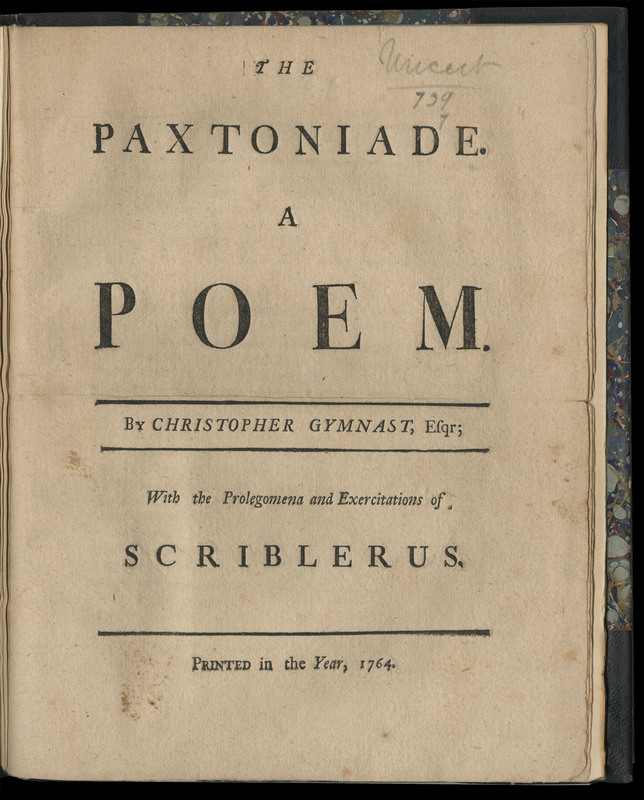 O'Donnell traces how backmatter in the form of errata, advertisements, supplementary material, and postscripts encouraged readers to revisit and reinterpret texts, which he posits opens up new ways of reading printed materials from the Paxton pamphlet war. We welcome new submissions at any time. You can always connect with the editor using the Contact page.